ALT110 is a system of office partitions designed for office space and different utility rooms’ arrangement in order to create comfortable working conditions. The system allows to create elegant interiors in halls, meeting rooms, offices and separate the halls in shopping malls. The variety of individual solutions is reached through a wide range of design elements, textures and colours of the system. A wide area for designer experiments is provided by unrestrained combinations of glass and blind sections, tinted, matte and decorative glass and shutters of various types. The rich choice of types, colours and textures for nontransparent filling allows to create unusual interiors and to decorate them in a unique way. 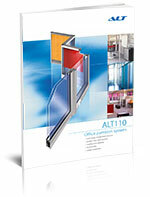 ALT110 system offers a wide range of architectural solutions to provide the required geometrical size of the room. Availability of leveling angles in frame and door leaf profiles allows to improve reliability and appearance of the construction. The system provides opportunities for arrangement of power, phone and computer networks. 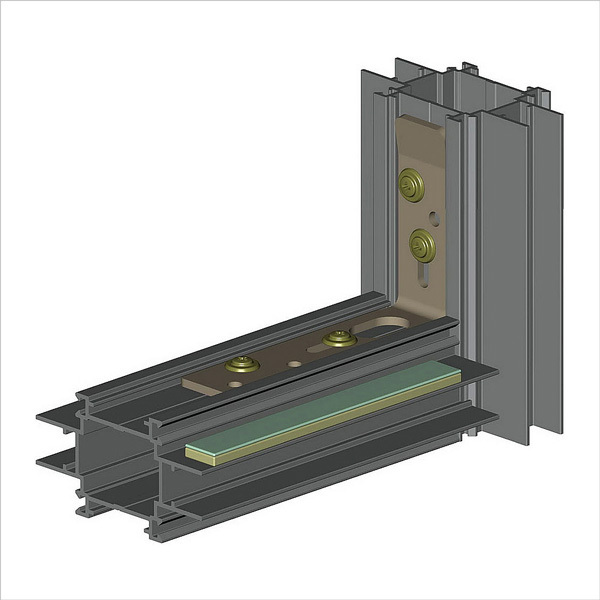 The mullions can be fixed to the floor and the ceiling with the help of insert components. 4 standard colors; RAL9006 (grey metallic), RAL9016 (white), RAL8017 (brown), A00-E6 (silver). Calculation data provided on the diagram is non-regulatory during the design of ALT110 partition system. 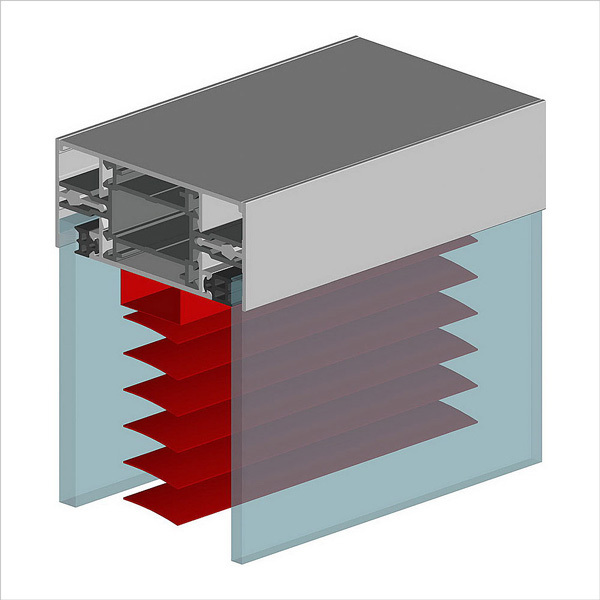 ALT110 system of office partition walls has a number of unique features and characteristics. The partition is assembled with the help of steel angles fixed with self-tapping screws, without preliminary drilling of the profiles. Use of steel angles enables the installation of transoms without step-by-step assembly even if the mullions have already been installed. Grooves in the angles allow to set transom horizontal without the necessity to drill additional holes in the mullion. Mullion can be fixed to the floor and the ceiling with the help of the angle. Use of steel angles allows to cover assemblers’ mistakes up to 5cm during cutting of transoms. Steel angle has an opening for the shutters rope. 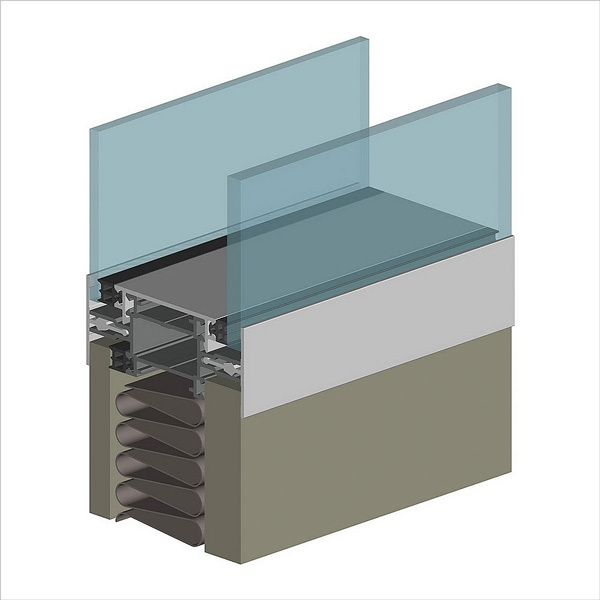 It is possible to install single and double transparent and non-transparent infill units. Glass of 4,5,6 and 8 mm thick. Gypsum plasterboard, flakeboard, MDF any other materials from 4 till 16 mm thick. 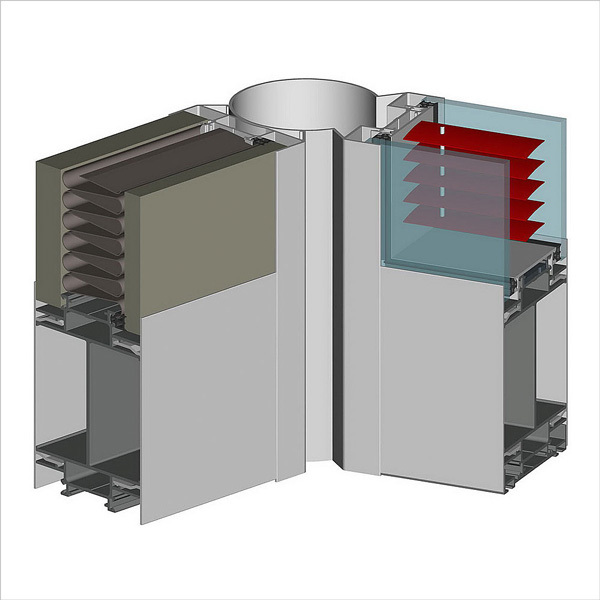 It is possible to install single- and double-leaf doors with single or double infill units. Wide range of end stop plugs create a completed appearance of the system.